Indie Retro News: Pathway - Beautifully pixelated strategy RPG set in the 1930s! Another great looking game and no not a retro game that can be launched on an Amiga or C64 is Robotality and Chucklefish's Strategy RPG ' Pathway ', which can be purchased right now via GOG or Steam. 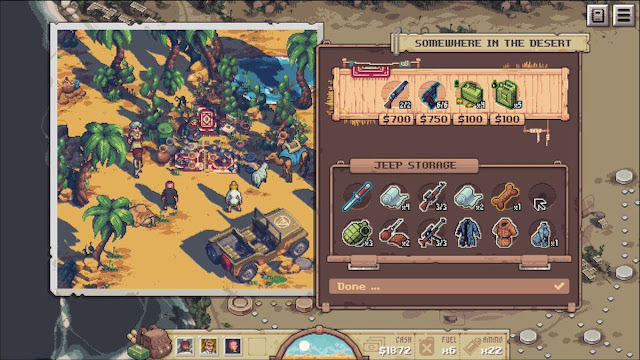 This game that stood out on our twitter feed as an Indiana Jones style graphical experience, is a Strategy RPG set in the 1930's great desert wilderness, in which you must outwit your enemies in daring turn-based combat while raiding occult tombs! Set in the year 1936 in a time of Nazi influence spreading across Europe and the Middle East, you must assemble a team of bold adventurers, and journey through the deserts, explore bunkers, and temples of Northern Africa to discover their hidden treasures and secrets before they fall into the hands of Nazi forces. As GOG rightly says " You and your companions must work together to overcome overwhelming odds - the fate of the world depends on it! ".